Of all the spaces in your abode, the ceiling is certainly an oft-neglected area that commonly falls by the wayside when we decorate our homes. 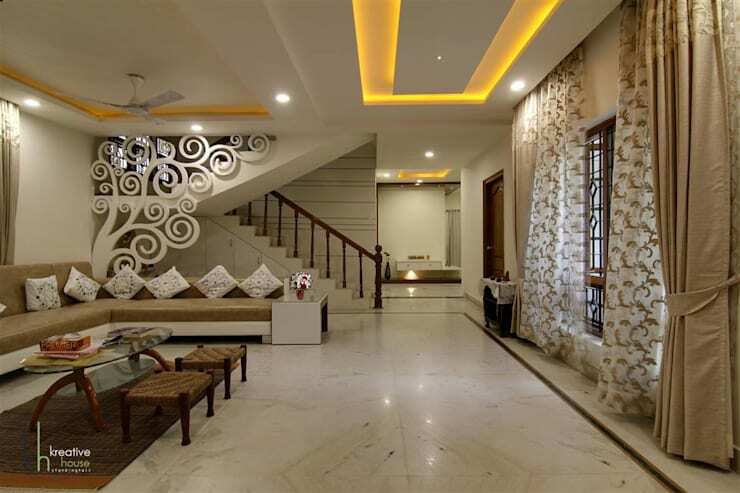 However, the ceilings within our houses and apartments offer a large area that can be decorated and adorned to suit a range of different interior designs. 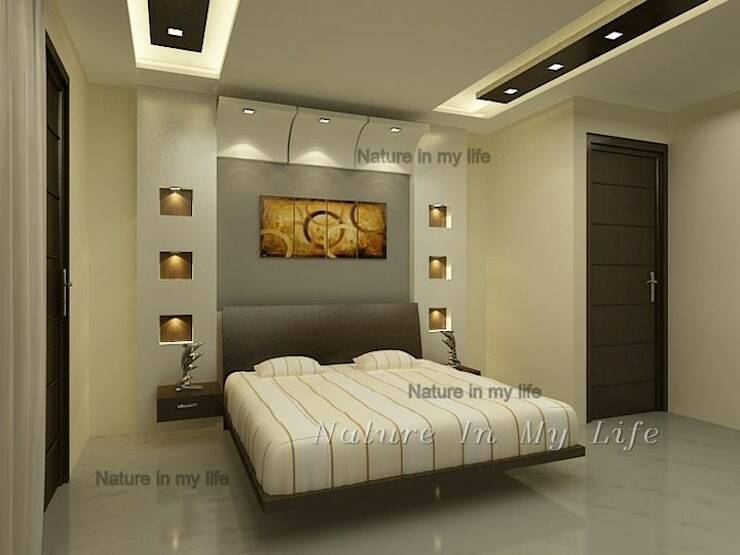 This symmetrical bedroom design utilises two different false ceiling panels that sit either side of the bed. As well as recessed lights hidden behind the suspended panels, downlights have also been employed to boost the room's brightness. 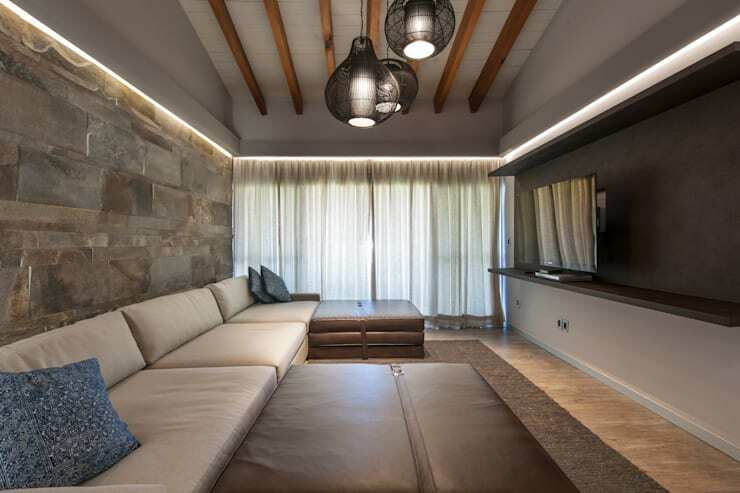 One of the best examples of a old-turned-new modern timber ceiling is this chic example from Kababie Arquitetectos. Paired against the stone wall, the ceiling has been painted white to open up the space, with certain beams remaining their natural hue. The light timber tones reflect the flooring and impart charm along with a sense of warmth. 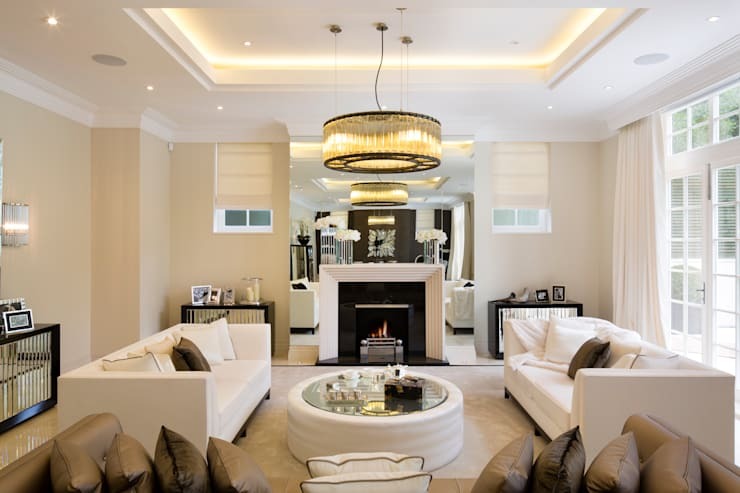 Our next example shows how ceiling cut-outs can be utilised to employ recessed lighting. 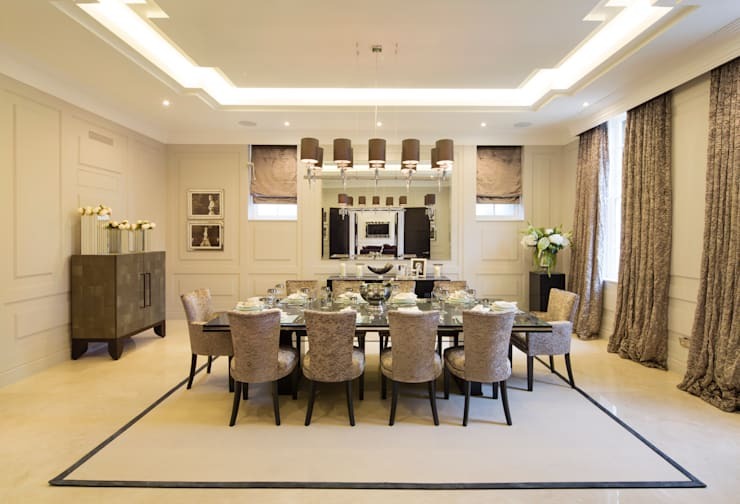 This not only adds drama and opulence to the room's ambience, but softens the impact of direct downlights, warming the atmosphere with cordiality. First up we take a peek at this interesting and seriously characterful apartment. 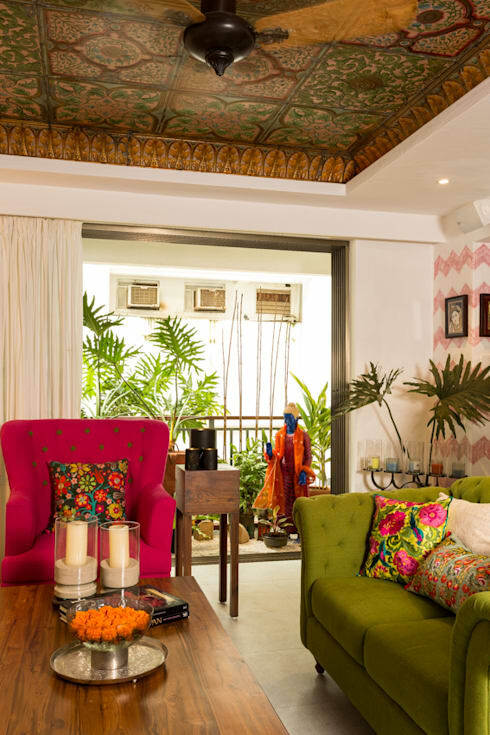 Reflecting the home's heritage and tradition, the decorative motifs are graceful and impressive. Ceilings don't have to be painted a different hue to offer colour and vibrancy to a home. In this example we see the false ceiling hides amber lights that work beautifully in incorporating warmth and hospitality to the interior. This design would work well in homes that need a welcoming ambience, and can be paired with a minimalist aesthetic as well as many other styles. Your false or recessed ceiling can also incorporate many different shapes. Here we see the shape is centred around the main dining space, softening the illumination, adding a convivial atmosphere. How would you like to decorate your ceiling?